If you’re ready to stop renting and start enjoying the benefits of home ownership, finding the perfect house within your price range can seem daunting, especially in a seller’s market. Keep these things in mind when you are shopping for your first home. The interest rate of your mortgage matters a great deal. Even a fraction of a percentage can add (or subtract) thousands of dollars over the life of a 30-year loan. One thing that can influence your interest rate is your credit score – it’s just one way for the lender to determine how likely you are to repay the loan. Well before you begin browsing properties online, take steps to get your credit score in the strongest possible position. Review your credit report and report errors immediately. Make on-time payments and put off opening new credit accounts until after the mortgage is finalized. Plenty of online services claim you can save money by completing the process without a real estate agent. But as many buyers discover, the savings don’t always come through as promised. In fact, going through this complex process without professional guidance can lead to costly problems later. If you work with an agent, you’ll get to work with a pro who’s in touch with the local market and can lend a helping hand every step of the way. Their expertise can help you find that perfect house and help you craft the right strategy for your offer. Buying a house is a big step, and in the heat of a seller’s market, it takes extra patience and perseverance. Find the right real estate agent to help you through the process, and moving day may arrive sooner than you expected. Purchasing a home in a seller’s market doesn’t have to be challenging. Some preparation and a strategy may give you an advantage over other potential buyers and increase your chances of having your offer accepted by a seller. 1. Get lender preapproval or prequalification. Determine your loan options and obtain a pre-approval letter from a lender prior to beginning the home search. Some homes are going under contract within days, if not hours, so being able to move quickly with financing is often a plus. The letter gives you an idea of how much home you can afford – so you can easily eliminate homes not in your price range – and lets sellers know you have been vetted financially. Remember, being pre-approved does not guarantee a mortgage – be prepared to shop around with different lenders or work with a mortgage broker. 2. Be available to close as quickly as the seller requires. A seller wanting to close within 30 days may not be interested in an offer from a buyer who also has a home to sell prior to closing on a new one. 3. Offer more earnest money. Earnest money, typically 1% to 5% of a purchase price that eventually goes towards a down payment, is held in escrow until a sale closes. By offering more earnest money, you’re letting the seller know that you’re a committed buyer. 4. Make your best offer. In a seller’s market, you probably won’t be able to present an offer that’s below the asking price. If you love the property, present the seller with your best offer price. 5. Include an escalation clause. If you want your offer to compete with multiple offers, consider having your real estate agent include an escalation clause. The clause details how much you’re willing to pay over competing offers. Including an escalation clause in your offer is another way to show a seller that you’re a serious buyer. In the market for a new home but have no idea where to start? There are several decisions you should begin to make before you even start your home search. By asking yourself the right questions, you can quickly pinpoint what you want – and can afford – in your next home. 1. What’s your budget? See how your finances stand up to the 28/36 rule, which lenders use to see what you can afford to pay each month. A financial adviser or your real estate agent also can help you crunch the numbers. Going through the mortgage pre-approval process lets you know how much lenders will allow you to borrow – plus it helps you show sellers that you have the funds to backup your offer. 2. What do you need in your new home? How many bedrooms or bathrooms do you need? What about a large kitchen, a home office or a playroom for the kids? How many cars need covered parking? It’s critically important to ensure the home you select meets your family and lifestyle needs. 3. Do you want a condo or single-family home? Condos come with much less maintenance. You typically won’t be shoveling snow in the winter or replacing the roof, but you’ll likely pay monthly association fees to cover services and repairs in the community. Houses, on the other hand, come with more privacy and freedom to customize. They also come with full responsibility for maintenance. 4. How do you feel about living under covenants? Depending on where you buy, you may have to pay homeowner association (HOA) fees in addition to your mortgage. There are benefits to HOAs, such as maintenance, community centers, and maybe even a pool or gym. But you also could be faced with more restrictive rules about the look of the outside of your home, down to the color of your front door, types of window coverings, and whether you can plant flowers in your yard. 5. What school district do you want to be near? Even if you don’t have children in the house, local schools will affect your property value. Prospective homebuyers tend to search with education in mind. Do your research on the schools in the areas you’d like to live in. 6. Should the home be move-in ready? Ask yourself how much elbow grease you’re willing to put into a home – or how much you’ll pay someone else to do the work. Fixer-upper homes can be great after the work is done, but you’ll want to figure out your renovation budget before you start your home search. A203k home-renovation loan might be the right resource for you. If you’re not ready for the extra financial commitment of rehabbing a home, or you can’t or don’t want to wait for remodeling projects to finish up, then a home that’s move-in ready might be right for you. After considering all these factors, you’ll be ready to start the home search with a clearer picture of where you’re headed. When that time comes, let a RE/MAX agent guide you all the way there. 1. Millennials accounted for 35% of buyers in 2015. This is up from 32% in 2014, and is the third year in a row Millennials have composed the largest group of recent buyers. 2. In 2015, the number of Millennials purchasing in an urban or central city area decreased to 17% from 21% in 2014. Suburbia-phobe? Perhaps not. 3. They have help getting their foot in the door. Twenty-three percent of Millennials used a financial gift for (or toward) their down payment. 4. An online search was the first step for 56% of Millennials, whether they were looking for properties or searching for information about the home buying process. 5. Almost 90% worked with a Realtor to buy their home. Are you a Millennial looking for your next home? Work with an agent prepared for the changing marketplace. Find one here. What it means for buyers: Home prices seem to be moderating overall with declines in month-over-month Median Sales Price increases seen in six of the last 12 months. A more balanced market could mean less frenzy in the process of buying a home, but working with an experienced agent will give you a much easier time navigating the unique conditions of your local market. What it means for sellers: The average number of home sales was 4.8% higher in February than one year ago, which could mean more potential buyers are out there for your home. The Median Sales Price of all homes sold in February was also up 5.9% year over year, reaching $198,000. 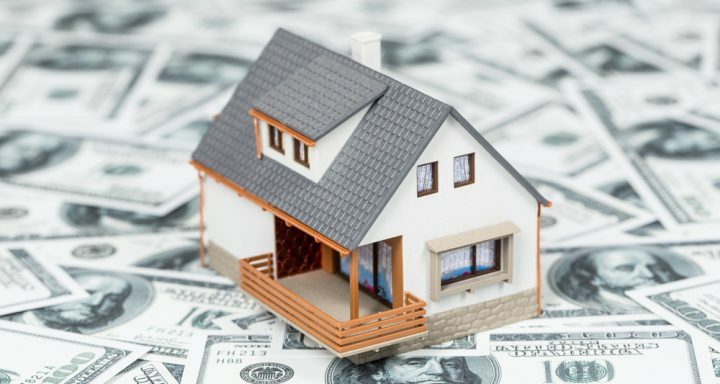 What is your home currently worth in today’s market? Consult with an agent to explore the possibility of selling for a profit. The March 2016 Housing Report infograph can be found here. An agent will have the pulse on the current market. Together, you can review how much comparable properties have been selling for and how long they lingered on the market. The agent can provide a realistic idea of what your home is worth, and how fast (or long) it could take to find a buyer. After you learn what your current home is worth, you’ll be able to hone in your options for your next one. An agent can give you an idea of what types of properties and which neighborhoods are in your budget. A good agent who knows the area will also be aware of local housing trends. He or she can advise you when might be a good time to buy. There may be work to do before you put your house on the market. A Realtor can help you prioritize repairs. He or she can also recommend a home inspector for an expert opinion on features like roofs and HVAC. Ready to explore your options? Find a great agent here. January home sales were 6.3% higher than those one year ago, about the same year-over-year increase seen in December. At the same time, anticipated seasonal trends resulted in 31.7% fewer sales in January than December. Since January 2009, the average drop in sales from December was 27.6%. Over the last 12 months, the average year-over-year increase in sales has been 5.6% and only two months, November and October, did not rise above year-ago sales. The Median price of all homes sold in January was $200,714, or 6.7% higher than January 2015. The inventory of homes for sale remains very tight in many metros across the country, at a level that is 14.7% lower than one year ago. At the rate of home sales in January, the national Months Supply of inventory was 4.6, down from 5.2 one year ago. The February 2016 Housing Report infograph can be found here. Winter is traditionally a slower time for home sales, but don’t despair. Here are a few ways the timing might play in your favor. Buyers looking for homes are doing so because they really must relocate due to job, family or other unavoidable circumstances. You’ll probably waste less time dealing with real estate tire-kickers. Because there are fewer transactions during the winter, mortgage companies, home inspectors and appraisers have less on their plates. You should be able to schedule appointments sooner and expect faster turnaround for reports and approvals than in the busy warmer seasons. With fewer homes on the market, it can be easier to promote your property’s comparative advantages. Highlight your home’s unique features. Are you the only townhome within walking distance of downtown? The only split-level with a pool in your school district? Be sure to mention it in your listing. Not everyone looking in the winter must move immediately. Your Realtor may have ideas about how to market your home among local businesses and organizations with fluid populations, such as universities, or via school district websites that might attract families moving to the area. Be sure to include images of your home during greener summer months, including lifestyle shots of your deck, patio, porch and/or yard. Feature these photos in a frame during showings to remind buyers how the home can come alive in the spring. An experienced agent who knows your unique market and the current inventory can paint a more specific picture of what listing your property in the winter will be like. Find an agent here. When selling your home, it’s critical to find an agent you trust to get the job done. Of course the more agents you meet, the better informed you’ll be. Scheduling a listing presentation enables you to glean more information to help you choose the agent best for you. Here are a few things to look for. Does the agent have an impressive record of selling the type of property you’re listing? Is he or she familiar with your region? Ask for the average difference between the sales price of the homes the agent has sold and the listing price. Though some of this depends on the market, it will also reflect whether the agent can skillfully set listing prices or negotiate offers. Is the agent plowing through a canned presentation without allowing questions? Is he or she taking notes as you talk? Make sure the agent is focused on you and your needs. If it’s all about them during the listing presentation, chances are they won’t be attentive during the actual sales process. The agent should present a comprehensive plan for marketing your home. Where will they promote your property? Will they hold open houses? Have them explain the reasons behind their decisions. This is where meeting with multiple agents can be beneficial. One agent may say open houses don’t work, another may favor them. It’s all about whose point of view you agree with most. Clear communication between an agent and seller is vital. Although you don’t have to be best friends, if your personalities don’t mesh it can make communication more difficult. Ask for contact information for the agent’s most recent three clients. It pays to be picky. Start your search for an agent here. Your agent will look at the prices of similar homes in your area that either are currently listed or sold during the past few months. They’ll take into account how many days the properties were on the market, and how the listing prices for those homes differed from the final sale prices. What’s affecting the market in your neighborhood, and your region? Your agent will consider national factors that shape the real estate market, such as possible rising interest rates, as well as local factors, like whether the average home price in your neighborhood has been rising or falling. They’ll also think about things such as new companies moving to the area in the near future, or plans for improving local amenities, like parks and shopping districts. All can increase the value of your home to a buyer. Although a home the same size and age recently sold for a high price, your own place might not fetch the exact same fortune if, say, junky cars continue to proliferate in your neighbor’s driveway. On the flipside, if the grass is in fact greener on the other side of the fence, your home’s value may be higher due to your neighbors’ curb appeal. Wondering how much your home might be worth in today’s market? Find a local RE/MAX agent who can explain how these and other considerations could factor into a pricing strategy for your home.